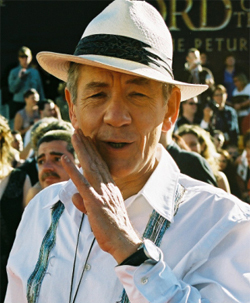 Sir Ian McKellen has visited 54 schools in two years to talk about being gay. The veteran actor was enlisted by Stonewall to help its campaign to stamp out homophobic bullying. Sir Ian has told schoolchildren about stereotypes, homophobic language and his experiences growing up when homosexuality was illegal. Speaking last year, he said: “Until I visited secondary schools recently, I hadn’t realised how much anti-gay bullying goes on, throughout the education system. According to the Guardian, Stonewall has also lined up Lance Corporal James Wharton to speak to school pupils about being gay. L/Cpl Wharton, who became the first gay man to appear on the cover of Soldier magazine in 2009, will tour schools over the next three months. The charity also hopes to find a “celebrated high-achieving lesbian or bisexual woman role model” to speak to pupils.